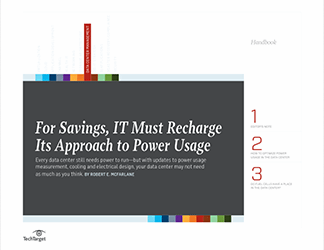 Smart IT teams are continually looking for more ways to eliminate energy waste in their data centers. A well-run data center is one that uses only the energy it absolutely requires. Because of what they do, data centers require significant amounts of energy. Those power-hungry servers, after all, are what a business runs on. Efforts to find greater efficiencies, though, have shown results. 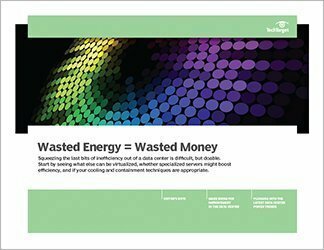 And since wasted energy is wasted money, an IT organization will want to do all it can to be sure it is pushing the limits of efficiency. Data centers can achieve greater energy efficiency through an expanded use of virtualization. Organizations might also consider using fewer, but more powerful, servers to reduce loss in power supplies and other redundant components. Other steps to be examined include a review of cooling methods, the automating of workload balancing and power management, and more effective server hardware throttling. Steps taken by data center operators can help lower energy use, but those results are likely to be limited and noticeable only over a period of several years. In fact, some observers see the biggest gains coming from more efficiently designed server chips rather than specific green initiatives undertaken in the data center. Finding real and measurable ways to reduce energy use is difficult, so useful advice is welcome.